JT Walker?s Restaurant & Brewery proprietor Justin Taylor is a fourth generation Mahomet native. 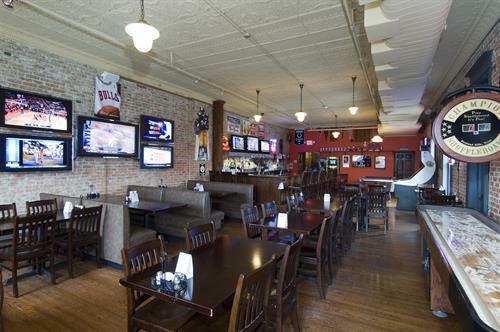 After returning to his home state of Illinois in 2006, Taylor was in the early stages of planning a restaurant and sports bar concept, but had not decided on a location. When the Village of Mahomet passed the Liquor License law in 2007, making the once dry town, now wet, Taylor saw the perfect opportunity to open a place in his hometown. 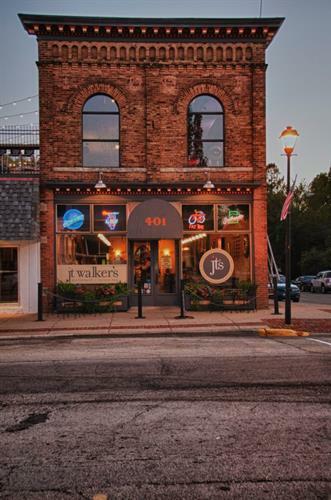 JT Walker?s Restaurant & Sport Bar opened in downtown Mahomet in July, 2008. After three years of working to bring craft beer to Mahomet and cultivating a crowd of beer enthusiasts, Taylor decided to take the next step. With the help of longtime JT Walker's Bar Manager and avid homebrewer Aaron Young, the plan for a local microbrewery began to take shape. After more than two years of planning, changing plans, and all the ups-and-downs one can think of, Champaign County Brewing Co., a.k.a. 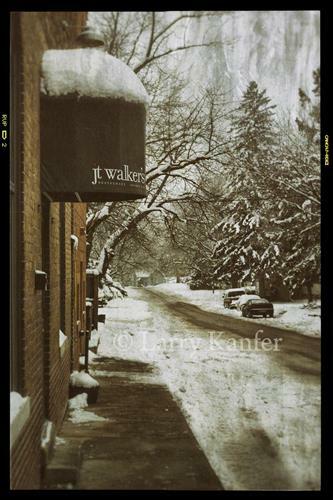 JT Walker's Brewery, opened in November of 2013. 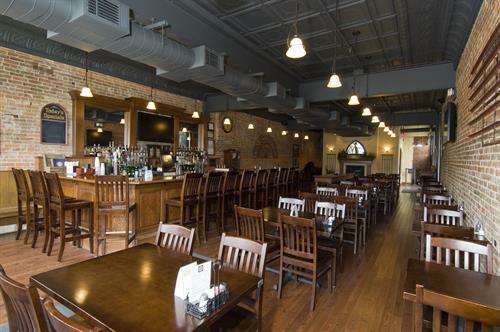 Located across the street from JT Walker's Restaurant & Sports Bar, the Brewery adds another aspect to the increasingly evolving Main Street District in Mahomet. 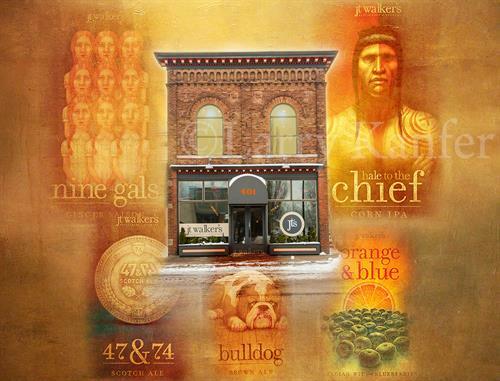 With an eye at creating something the locals can be proud of as well as an interesting getaway for out-of-towners, JT Walker's Restaurant & Brewery is trying to bring their little piece of the ever-growing foodie and craft beer market to Central Illinois. So please do your part by supporting your local businesses and especially your local breweries, where local beer is always the freshest beer. I-74 take Mahomet exit and turn right on Main Street, at the end of the street.